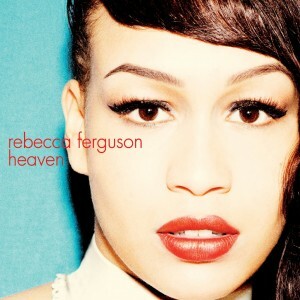 Gorgeous Rebecca Ferguson has been taking the British music scene by storm with her debut album ‘Heaven’. Now it’s Australia’s turn to fall under her spell, with the album plopped out last weekend and the first single from it (‘Nothing’s Real But Love’) being officially serviced to media in Australia this week. But of course, to celebrate the release of the album by the former UK X Factor starlet, we teamed up with the fine folk at Sony Music to give away five delicious copies of the album. Tony from Concord in New South Wales, Cruise from Singapore, Glen from Bungalora in New South Wales, Tracy from Port Denison in Western Australia and Jarryd from Tarneit in Victoria! Congratulations dear auspOppers – a copy of Rebecca Ferguson’s debut album is already in the post and jetting its way to you as we speak. And as always, thanks to everyone to entered. * Keep your eyes peeled on the site on Monday for another awesome competition. I absolutely adore Rebecca, She’s done so well for herself. Check out this interview that she did with Liverpool Music the other day!